It can happen to you. Your child will be lying on the floor in the middle of the supermarket having a full-blown meltdown. You will get judgmental or sympathetic looks from other shoppers, depending on their experiences. You shouldn’t feel guilty, though; tantrums are more complicated than a spoiled child being told they can’t have a toy. So what causes them and what can you do to deal with them? A tantrum happens when a child is overwhelmed by emotion and doesn’t have any other way of releasing it. Small children don’t have the life experience to distinguish between major life events and the small things like having to wait for something. 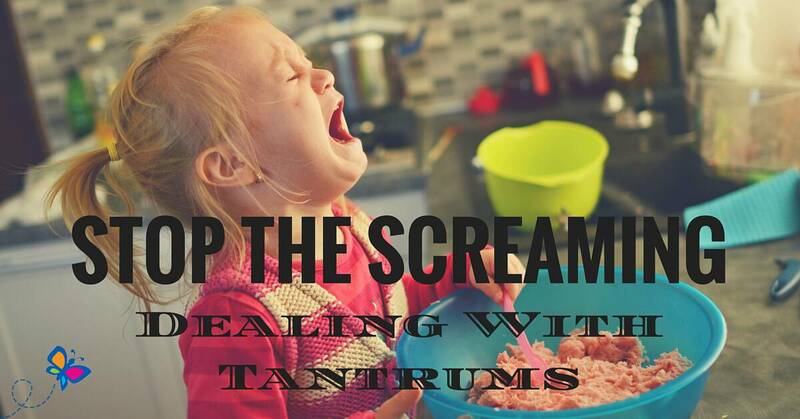 Sometimes a tantrum can be caused by a child trying to cope with too much stimulation or change; this is particularly true for children with autism. The cause could be as simple as tiredness, hunger, jealousy, lack of stimulation, or the need for attention or reassurance. Children are also sensitive to their environment and will pick up on any stresses at home, even if they don’t understand the cause of them. To deal with a tantrum effectively you need to decide whether a tantrum is caused by anger or distress. If the screaming and kicking is caused by anger, then you need to distance yourself a little. Don’t reward bad behaviour with a bribe to be good. Be firm and clear about how you expect them to behave. If it’s safe to ignore the attention-seeking behavior (for example, by walking away), then do so, but stay in sight so they don’t feel abandoned. You also need to allow them to have some dignity when they capitulate and change their behavior. Praise their good behavior and don’t ridicule them for their actions. If the tantrum is triggered by distress, you need to give them reassurance. A cuddle works better than words; showing them you’re accepting their feelings as genuine, giving them the security of physical contact and helping them regain control. A distraction can often help; singing to them, telling them a favorite toy wants a hug or giving them something to play with can all work. Small children are prone to tantrums and sometimes you have to wait it out since they’re too distressed to be calmed down right away. If you take a consistent approach, stay calm and accept it as a natural stage of your child learning to control their emotions, you’ll find you can both survive the experience. And as for the judgmental passers-by? Just wait until they have their own tantrum-throwing child to deal with.